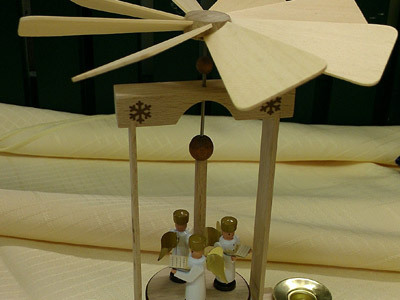 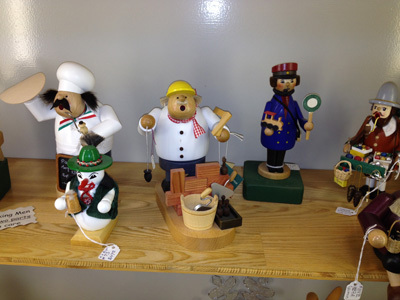 Don’t miss out on the handcrafted German décor. 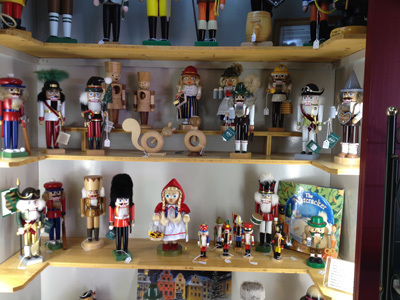 These varied imports are genuinely German and are top quality. 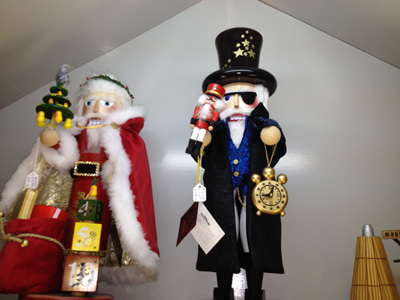 Mainly Christmas-themed items are available year-round for you to see! 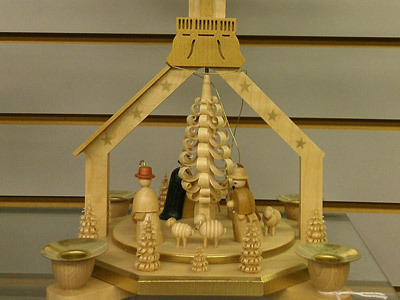 Varying in size and height, the pyramid is a kinetic work of art. 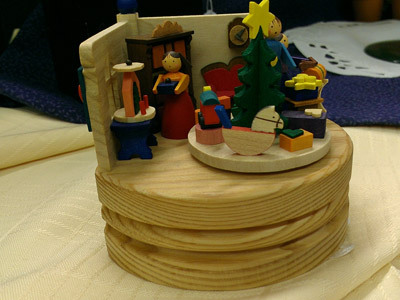 The candles create enough heat to turn the fan above. 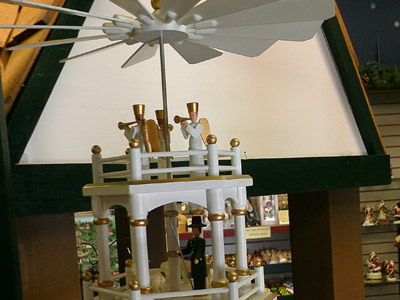 The moving fan then rotates the levels below. 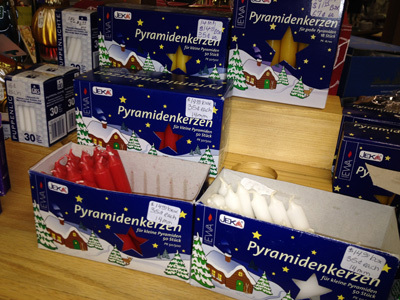 We also carry German metric candles for our Pyramids. 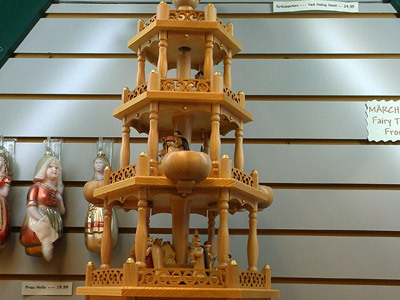 Coming in a myriad of disguises, these crafts were created to burn small cones of incense inside if it. 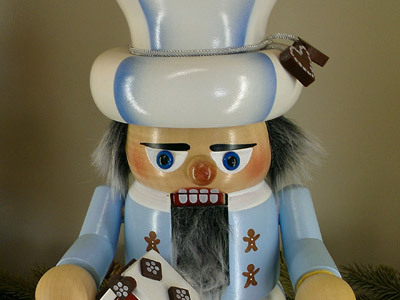 The smoke usually comes out of the mouth of the smoker. 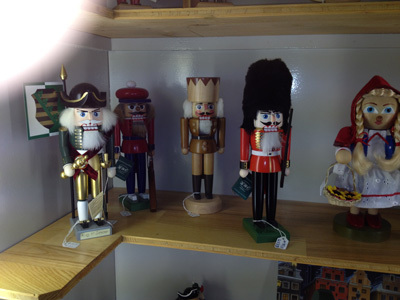 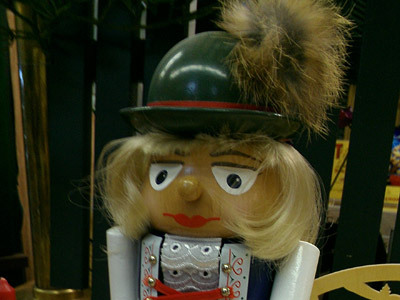 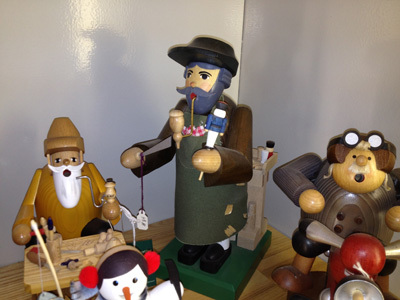 Coming in many different costumes and looks, the traditional German Nutcrackers originated as a tool to crack nuts. 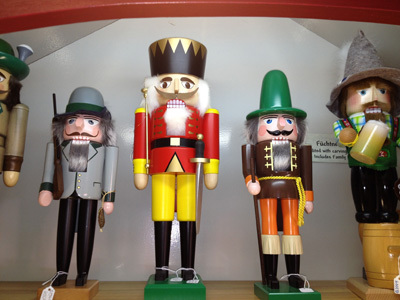 Peasants dressed them up as the king and soldiers to joke these authority figures would serve them whenever there was a nut to crack. 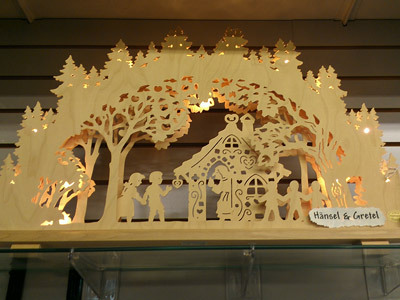 When miners went to the mines their wives would leave an arch of candles in the window. 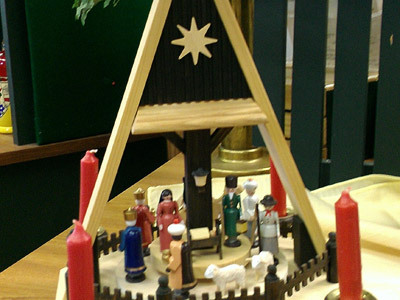 The light kept watch till the father would return. 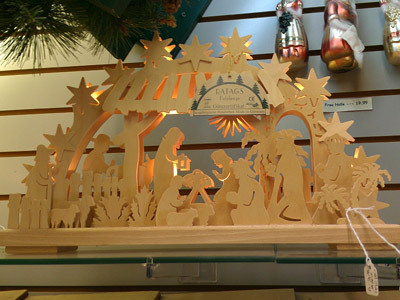 The simple splendor of light and darkness is preserved, now using mini-lights. 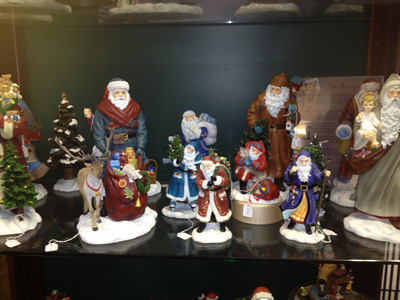 We have a wide varity with candles or with electric lights. 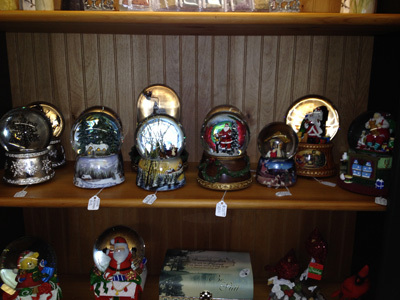 We carry Inge Glas, Lauscha Glas, and Christborn ornaments. 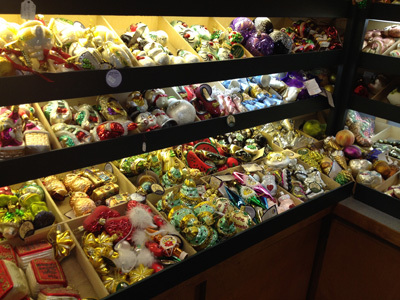 We carry these ornaments year round. 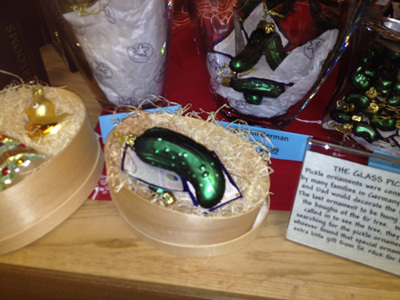 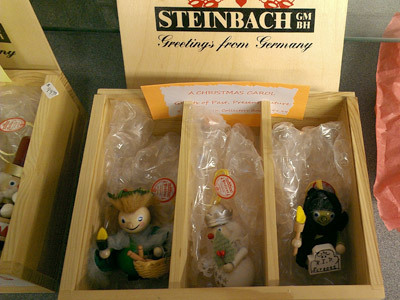 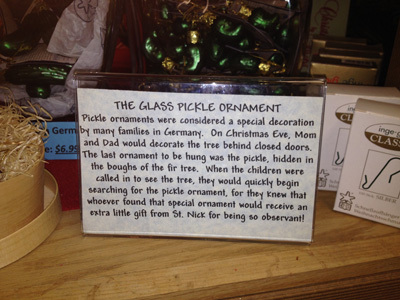 We also have the German pickle ornaments in three size! 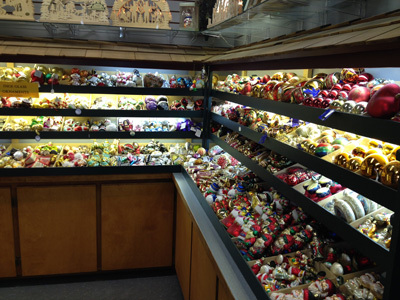 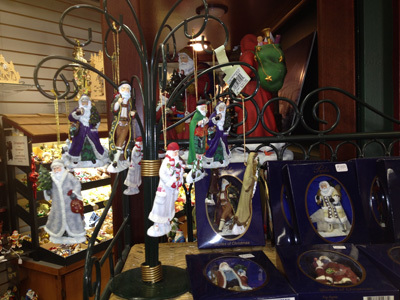 Guten Tag Haus carries a full line of Merick's Family Old World Chrsitmas ornaments. 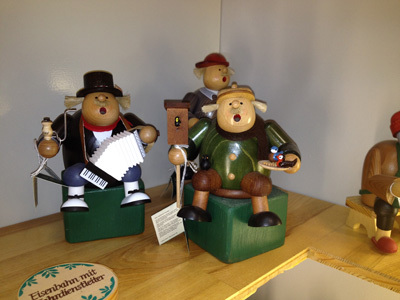 Pipka starts with wonderful artwork in the form of colorful paintings and sketches then the art takes shape in sculptor's clay. 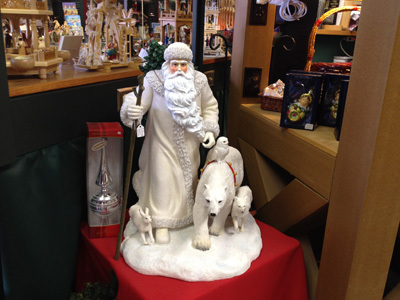 A mold is then poured and the Santa Claus figurine comes to life as a cold cast resin piece with artisans carefully hand painting every detail. 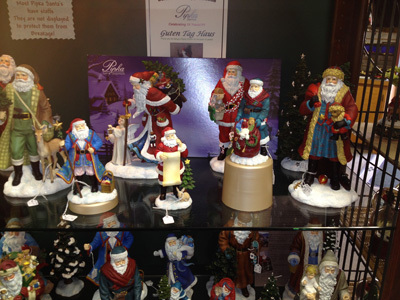 If you are looking for a Pipka Santa, we have it! 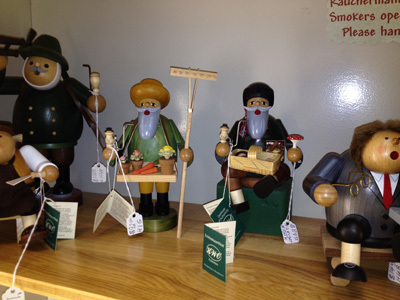 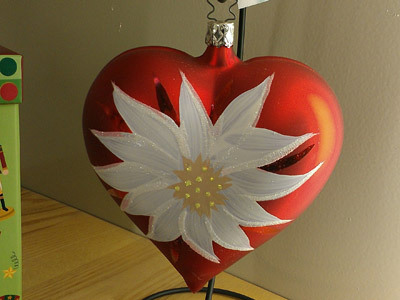 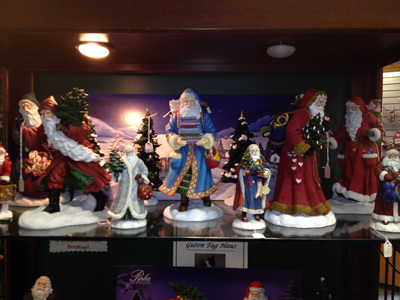 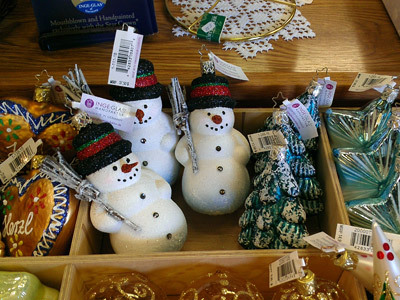 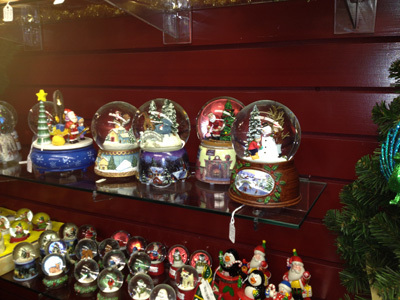 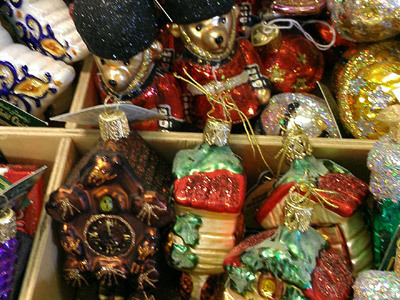 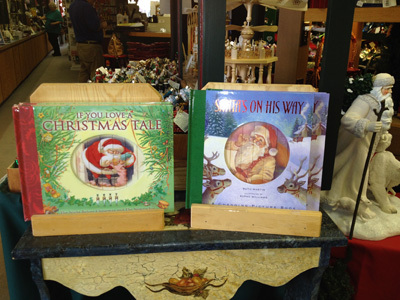 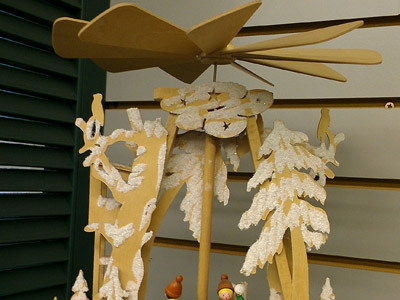 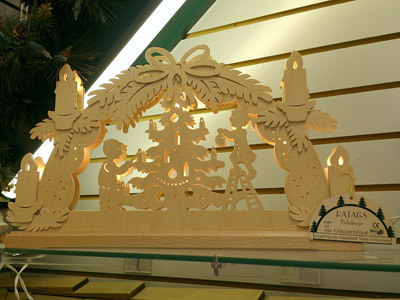 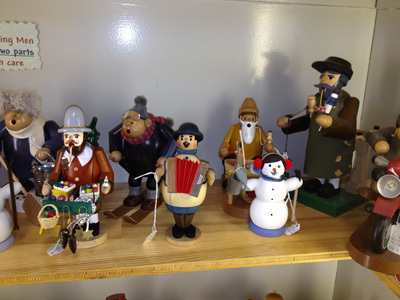 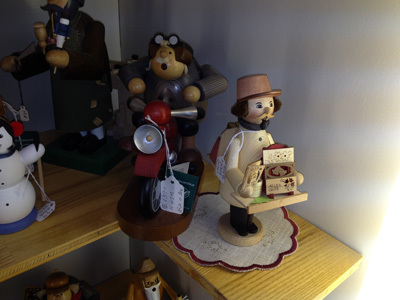 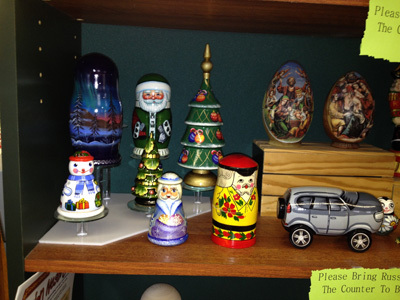 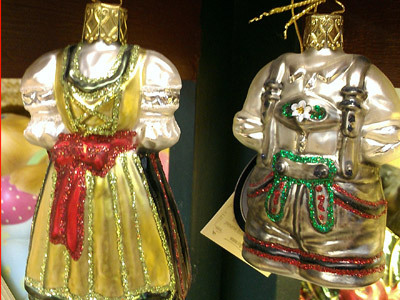 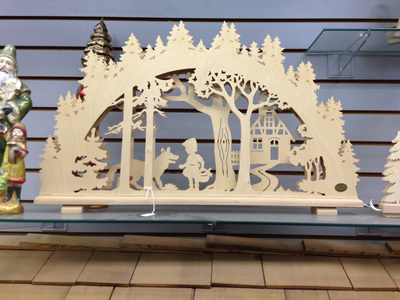 Stop in year-round to see these nifty gifts and decorations…and be confident that they are true German imports!